Munavarbhai is a 42-year-old watch-guard (chokidar) of a middle-class Muslim housing society in a suburb of Ahmedabad, the Indian state of Gujarat’s largest city. His wife Haneiferben does domestic work, but also intermittently works as a house cleaner for Hindu and Muslim middle-class families. Munavarbhai and Haneiferben belong to the informal sector of Ahmedabad’s highly stratified economy. Their nuclear family consists of four heads and has to make do with approximately RS 5,000 a month (roughly US $80). 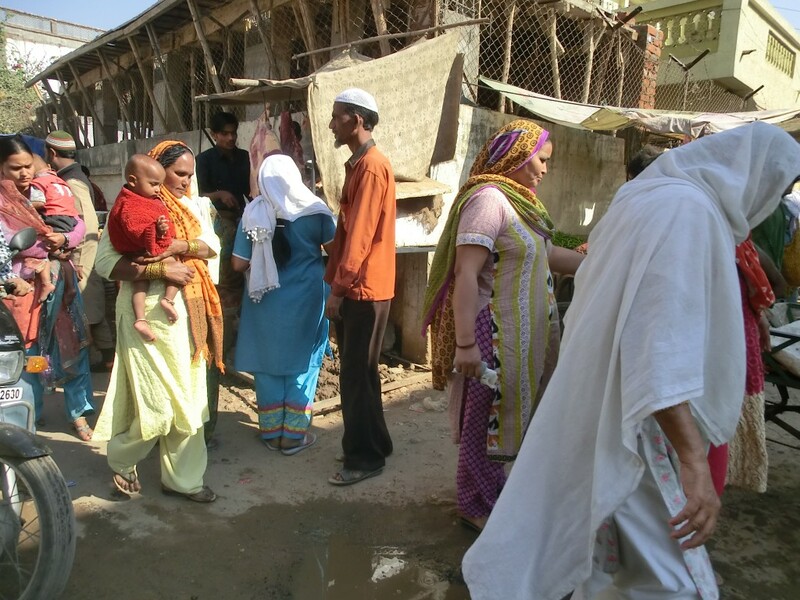 They live in an area of Juhapura called Fatehvadi, in proximity with various rishtedar (relatives) including members of their respective kutumbvala (members of the patriline) interspersed with houses of migrant laborers from outside the state (mostly from Uttar Pradesh) and various other Muslim communities. They hold close social connections with their respective home villages, in which they are officially registered, and to which they regularly return for marriages, festivals, and political elections.